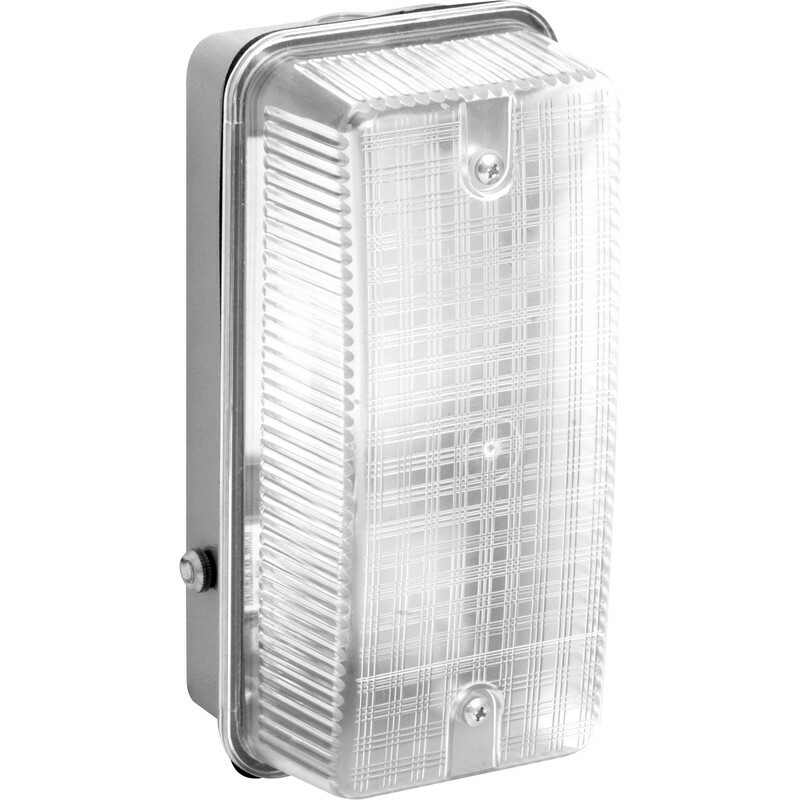 Diecast rectangular bulkhead with photocell. Uses 70W GLS halogen BC lamp 31462 . This luminaire is compatible with bulbs of the energy classes B to E.
100W Bulkhead with Photocell is rated 3.6 out of 5 by 16. Rated 1 out of 5 by Shaun777 from Absolute rubbish Bought 2 of these and had them fitted professionally and both are rubbish, when its getting dusk the light constantly flashes until completely dark and then again at dawn until its completely light, no problems throughout the night but they are annoying neighbours and myself now, tried every bulb on the market and still does it so its obviously down to the photocell switch, even blocking out the light from the bulb makes no difference, so now its means paying again to have them replaced. Rated 5 out of 5 by Phil1234 from Lovely fitting Easy install and standard bayonet lampholder so up to 100 watt bulb or LED equivalent can be used and replaced if required. Photocell very responsive On and Off. solid construction. Good price. Quick delivery. Rated 3 out of 5 by jaytek from Not user friendly ... The one I got didn't have mounting holes in the casting nor cable entry drilled - so was a pain to fit. Then a cfl bulb didn't work with the photo cell so I put a halogen in. That was flashing too - so today I put an "old" type bulb in & will find out tonite if it works!! It may be faulty Basil. Rated 4 out of 5 by Arlan from Potentially Excellent, But Not For Home DIY... A good item, but not suitable for the home DIY enthusiast: the cable entry holes and fixing holes for attaching the unit to a wall all need to be drilled-out and a step drill bit will be required if you require the 22mm entry hole. Further, you may need to drill a new hole for the photocell if it needs to be located on the other side, or even the end, of the unit. The plastic cable terminal block can be exchanged if the lamp is to be wired in sequence, and can be mounted vertically; which can also come in handy when you find that some humorist has used the original bulkhead lamp you are intending to replace as a junction box for the house lighting circuit. Finally, I am not sure why a previous reviewer had an issue using a LED lamp in the unit, because the BC / ES / SBC / SES LED lamps are typically designed as direct replacement units, ie: they have no special requirements and installing them should require no additional work or modifications to the existing infrastructure.